I have four kids and have spent many hours reading books at night to my kids. 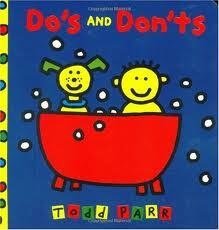 One of the book, handed down by my parents, that has lasted throughout (the kids) is “Do’s and Don’ts” by Todd Parr. The directions and advice offered from a children’s book offers parallels and advice that may be applied in various circumstances of day-to-day adulthood. Amazon writes Do’s and Don’ts could be called an etiquette primer–sort of. “Do change your socks every day,” he tells us. “Don’t make anyone smell them,” he adds. “Do have lunch with a monkey,” but “don’t eat his bananas.” “Do brush your teeth after every meal,” but “don’t brush with peanut butter.” You get the idea. Do arrive on-time to all interviews – including phone. You want your first impression to be a great one! Tardiness may reflect upon you adversely. Do not wear Tennis shoes with a suit. Do bring a copy of your resume. Do not bring a wrinkled or stained copy. Make sure it is up to date. Do look at their website before interviewing. Don’t bad mouth your past employer, boss and or anyone else related to previous employment. Don’t lie on your resume or in the interview. Lies will reflect someone you aren’t. Even if they help you get the your foot in the door, most transgressions will be brought to light and will affect you and your employer adversely eventually. Do explain your past employment experiences in as much detail as possible. Don’t waffle between jobs based on a difference of a few thousand dollars. Do think about YOUR career goals. Don’t jump at the first opportunity just because it is offered. Special thanks to Lindsey for the helping editing the post. Yeah Lindsey.. Pick me, I can play.. I have started to see the job market change. I am seeing more jobs than qualified candidates. Surprise! In the blink of an eye, how quickly the tide has changed from a saturation of candidates, to actively searching for “A” candidates again. I have even seen some backlash against those candidates who have been without a job for over 6 months. Here are a couple of questions I am receiving from clients. What have they done in the past six months? What are they doing now to keep up their skills? 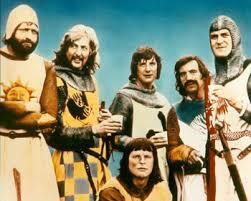 Were they part of a large downsize or were they let go for performance reasons? Why haven’t they found a position? Are they too picky? Are they not technically strong enough? Realizing that those questions are starting to enter into the mindset of interviewers can help you be aware and give you talking points about your skills and recent history. If you are out of work, now is a good time to update your certifications. Certifications are a great way to show you are still actively engaged in your knowledge and ability to work. Participating in user groups and working on projects in your area of expertise can help ease the transition. Look for different way to be actively engaged. Volunteer once a week at an organization. You would be surprised the benefits you will receive-from the work to the increased chance of networking. The more you do, the more visible you are. Don’t forget to ask the question in the end of the interview. ” Is there anything in your estimation that you feel makes me unfit for this position.” You can clarify from there but if you do not address this, you may miss your opportunity to explain your activity. How do I ask for the Money? Recently a very good friend of mine interviewed for an internal position with his company. He called me shortly after the interview and said he was verbally all but offered the job. He was excited about the promotion but when the Director mentioned the change in salary, my friend was disappointed as he was looking for a higher rate of increase. When we discussed the salary range offered, the salary being mentioned was on the bottom of the range and he felt he was being undervalued. He had decided he was going to negotiate but wait until after the offer was made. I quickly advised him to negotiate before any offer was extended. Ideally when an offer is made you should already know at what rate the offer is going to made or at least fairly close. You will want to have a firm understand of their ability/range to make an offer and they want to know your salary expectations. That will insure a high rate of success for the offer to be received favorably and then accepted. Knowing the salary facts applies to both candidates and hiring people. I never like to guess. Before the formal offer is extended you can have a conversation and talk about your recent salary history and expectations without you sounding like a money grubber. After the offer is presented and negotiations have begun there are battle lines being drown as the tone tends to get more serious. As an Account Executive at Matrix I like to have conversations with my clients all the way up to the offer. I have found people are more receptive to listen and talk with an open mind before everything is set in stone. I like to get the candidates to agree in principle to a salary and the hiring manager’s to agree hopefully to the same number. Let me list why negotiations after the offer has been presented is less likely to be changed. 1. Affectively when you look to negotiate after an offer is made you are effectively turning down one offer in the hope for another offer. Once you get into this area the client can do three things. 2. I see some clients that feel some rejection upon a start for negotiations after they have worked hard for an offer. Hiring Managers are emotional involved in the process. You never want to start a position off on the wrong foot. 3. Many people have touched the offer to get it to you. The Manager tells the Director she has found the right candidate, you. The Director talks to the VP and gets the okay. The Director tells the Manager to get with HR and get an offer together. The Manager and the HR rep get together to discuss the offer then the HR rep sends it to the VP to get it signed off on. Finally the HR Rep sends it to the Manager so she can get it to you. The Manager has to go through the entire process again if there are negotiations after the offer. I am a big fan that if you like the position and opportunity then you can have a discussion before the offer is made. At all times remember to focus on the job not the salary. I opened the door very casually about the salary and benefits. Your discussion may not change the offer but it can’t hurt to have a discussion before the actual offer is made so the respective parties can be on the same page. Always focus on the career and opportunity and you will be able to have a chance to communicate your thoughts effectively and openly. Life is like a bungee cord. Like most high school teenagers during the summer, I looked for ways to earn extra money. I worked a cabinet shop and learned the value of shutting saws down before placing a hand on one, I worked concert security and enjoyed the pre-show rehearsal of some great bands (the one-armed drummer for Def Leppard is awesome! ), and the most interesting job I had during my high school summers was as a Jump Master at a bungee jumping tower. The tower was a metal structure that grew 90 feet in the air. To reach the jumping platform you had to climb the hundred, or so, steps to reach the top of the four jump platforms. Once you reached the top, the flooring was a metal mesh grating that allowed those on top of the platform to view the ground 90 feet below. It was a very intimidating sight the first time on top and many people refused to look down. I saw all kinds of people jump from a brave 5 year-old who jumped 5 times, to large tough men who screamed like 5 year-olds when they jumped!! One of the most interesting things about bungee cords are that they are not large individual cords. The bungee cords are millions of small elastic bands weaved together around longer strands. Each band is weaved, for strength and elasticity, such that if the individual band is stressed to the point of breaking and some of the bands actually break, you are in no danger of falling. You can lose thousands of bands before any potential danger occurs. We would take the two broken ends and tie them back together at the end of everyday. It would not be unusual to have 30-40 bands broken each night after the jumps. We were required to inspect each cord and document what we had done to make it “jump ready” the following day. Depending on the weight of the person, we had five different cords to use. I usually jumped on a #4 cord that allowed good bounce and stretch and was appropriate for my weight. A few times, I used a #5 cord but the strength was too strong and would not allow for flips and I had a decreased range of motion. The other cords we not sufficient for my weight. As we go through life, we add another layer of elastic bands that help strengthen the impact from a our choices. We are a combination of all the activities, thoughts, trials, tribulations, opportunities and choices that are weaved together to make us who we are today. Throughout our lives we have the opportunity to experience LIFE at its fullest and every experience is worthwhile and can add to our bands if we learn from it. There are times that we have to sit back at the end of the day and tie a few strings together that broke during the day. Tomorrow we jump again, so we need to have our cords tied and ready to perform. If we neglect our cord and it really starts to look ragged and not functioning properly, we can get caught unprepared for a major trial or fall. So the next time you experience the trial of losing a job or blowing the interview, or experience the blessing of a new birth in the family, remember your cords, your lifelines, and be ready make sure they are ready to keep you from falling too hard. At the end of the day, take a few minutes and look at your cords, then tie broken bands back together and make yourself stronger for the following day and go ENJOY THE JUMP. I think sometimes we put too much importance on things that seem good and worthwhile but do not add intrinsic value. A few different things come to mind in recruiting and interviewing. 1. Candidates relating experience in interviews that do not help the interviewer decide if they are a good candidate. Nice story though. 2. Asking questions in an interview that do not apply to their character or professional experience. ex. Questions out of a technical book that have no bearing on the technical expertise. I do not remember the books from my econ class in college. 3. Taking the candidate to lunch to see how they interact at lunch. I have never had an offer taken away from a lunch because they slurped their spaghetti. Now if you use the lunch to get to know them on a more personal level, I like this. 4. Overstating the level of competence of the technical group. Basically unless the candidate can walk on water, they are not interested and if they can walk on water, they still need to juggle while playing hopscotch. Right…. I know you are not supposed to talk about religion in the workplace, a no-no but I think the “Golden Rule” can really help out a lot. Let’s treat others how we like to be treated-fairly, justly and put aside the irrelevant. 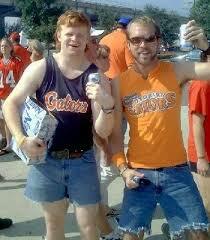 Now let’s break some bread and have a non-fat dirty chi latte and laugh at ourselves. I had posted yesterday how I had surprised myself by running a distance almost twice as far as I had run in a long time. The tough thing about learning how far you can take yourself makes it tough to do anything less than your previous best. You are setting yourself up for failure. You are quite right. This morning I thought to myself I need to get after it and do something really hard at the gym. I thought about biking the 25 miles I need to go on an Olympic distance triathlon. In the end I decided that I was going to do a sprint Triathlon in the gym. I decided to skip the swimming until the end because the is nothing worse than sweating after you have gotten out of a chlorinated pool. My skin feels nasty (did I just write that). anyway I started off on the bike and just nailed it. I mean I was Lance Armstrong except for the endorsements and the biker shorts, not my style. I am sure all the people at the gym are thankful for me sans biker shorts. Anyway, I get off the bike and I start to run. It takes my legs a few moments to make the transition from running to biking. So I started off a little slow or in my case slower than usual. I quickly jumped my speed and initially felt well. After my first mile I start to feel things in my legs. Phantom pains I would say. A tightening of my muscle here, a cramp in my foot there. The doubt started to creep inside my head. I had the toughest time between 1-2 miles. By the time I reached 2.5 miles I was so determined. In fact I cranked the speed up on the treadmill. My last lap I put my sweat rag over the time and count in my head down from 120 to 1 just to make sure I was going to finish and finish strong. I wanted to crank it up really for two reason. So I finished in a happy 26 minutes. Next on to my best and most favorite part of the triathlon, the swim. I mean it is not hard for me I grew up with a pool in Phoenix. I have flippers for feet, at size 14. I had a great first two lengths of the pool but by length 10 I was tired and it was starting to show. I know why they place the swim first in the triathlon, half the group in the race would drown because of fatigue. I finished the swim. I had done a sprint triathlon on an average Friday morning. I finished my race and didn’t quit. I did that all before work. I am in the office by 8am. Good day here I come. Deja vu in the fact that two times in as many week, I have had some self-doubt, fatigue, self-pity and been able to push through it. I do not care what it is and how small the goal finish strong and carry your head high. Good day here I come. I am not a runner. I was built for other activities. Mainly eating. I am very good at eating and I really enjoy it. I like trying new foods. I am constantly going to lunch with clients each day. I was tired of always picking my food. I know what your thinking, “Oh that is so terrible, You poor guy.” I agree with you, poor me. I usually picked the same type of food and had almost no variety. So about a year ago I started to tell the wait staff when they come by to pick my food for me. Don’t tell me what you pick for me but give me your favorite food. Their favorite dish they serve. I have had some great choices. I received a Mahi Mahi meal at The Cheesecake Factor that was one of the top five meals I have ever eaten. Just two days I ate at Armondo’s Cuban restaurant and had Paellas de Mariscos that had very chewy calamari. Yesterday was Bison at Ted’s Montana Grill, good food, service not so much. I hope you see that I enjoy the eats. I needed a way to lose the calories from my eats so I trained and competed in a Sprint triathlon last year. I didn’t have the best time but I didn’t die and I beat the 76-year-old woman on the Huffy bike so that was good. This year, and especially after this past Christmas, I needed a goal to shoot for. I decided that I was going to run the Jekyll Island Turtle Crawl International distance Triathlon. Which consists of 1 mile ocean swim, 25 mile bike ride and a 10K at the end for good measure. I was okay with the swim, at my weight I float more than swim. I can ride like the wind on the bike, thought those iddy biddy seats leave A LOT of room for comfort. I know they make them small for less weight but at my size what is an extra 1.275 lbs. Give me the seat with Springs in it. The problem with whole triathlon scenario is that I do not like to run. I have run and run and run before. I do not like it. I do not like it Sam I am. I do not like on a track, I do not like in the rain, I do not like in a gym, I do not like it Sam I am. I have struggled with the running portion. I am trying to run 3.5 miles twice a week without stopping. I can do it but I talk myself out of it. So three weeks ago I said that I am going to run the 3.5 miles without stopping and you know what I did it. I ran 3.5 miles. In a blistering 30+/- minutes. Not a land speed record mind you but I think I can still beat the 76-year-old lady. No bets but I think. Last week as I contemplated how far I had run I wondered. How far can I run until I have to stop, drop and curl up in the fetal position from cramps. I thought it a good idea at the time but really decided that I am good with 3.5 miles once I was into the run. As I progressed in my run I eventually hit 3 miles and I was still feeling pretty good so I spontaneously turned right and headed down in front of the Home Depot to extend my run. I continued running and knew of another mile loop that could extend my run to 4.5 miles. Can you guess what happened at the end of 4.5 miles? For those playing along at home, if you said I kept running you are correct. If you said something different 10 push ups for negative thoughts. So I chose a different path on my run and soon my run became a mission to see how far I could really run without stopping. Towards the end of the run I was just trying to extend my distance to the next street lamp. In fact I counted down from 8 to 1 to get to the corner and finish. It was a great run. I completed 6 miles in under an hour and had a huge personal success. By time I was done that 76-year-old lady was nowhere to be seen. She was probably already done and back to the gym resting but in my mind I had won. Some days it pays to see what you can do, how far you can push it. You might just surprise yourself. The new year is upon us. Out with 2009 and in with the 2010. I am happy to back to work so I can get some rest. With all the things that go on in the holidays I think it becomes more stressful than regular work. The new year means going back to work and checking on the things you left undone or needed to complete from the Holidays. My cubemate came back to a little less than 400 unread emails. It took her a couple of days just to sort through the deluge of information and questions. Imagine trying to remember where I had left off from 2-3 weeks ago. If you are looking to change careers or gain a new career, do not assume that people remember anyones status from December. Now is the time to call, send emails, send up the flares. Personal contact being the best. It’s easy to glance at an email and forget. It takes effort to talk. Start trying to touch base with everyone. I give you an example. I talk to people all day about positions and resumes. I had a candidate referred to me with great marketable skills. I didn’t have anything for him then but I asked him to call me every week or two to check in and I would call him if anything popped up. Long story short he doesn’t call and I forget. Several potential positions come and go that were potential positions of interest. I was invited to a Networking event two months later and guess who I run into, my candidate. I tell him to call me the next day. He doesn’t call, which baffles me, but I receive a job for the exact skills he has and in the industry he just left. I called him and we end up setting up an interview. None of that would have happened if we would not have talked the day before. Timing is everything. Time to reach out. I know a lot of people do not want to bother their friends and acquaintances about their job search. I have never heard a friend say ” I am tired of trying to help my friend get a job.” If they did they weren’t a true friend. People understand the economic times. Companies are hiring. The most recent jobless numbers are down. While we do not know all the factors, there are people getting hired and starting new positions right now. While job boards are good the highest percentage of positions are filled through networking. Good luck and go call someone.